The Ultimate No-Bake Mars Bar Cheesecake - GetCooking! Bake Play Smile’s – The Ultimate No-Bake Mars Bar Cheesecake recipe. The Ultimate No-Bake Mars Bar Cheesecake… packed full of Mars Bars, chocolate sauce and caramel sauce! Talk about delicious! We’d love to hear your feedback on this video recipe format in the comments section below! 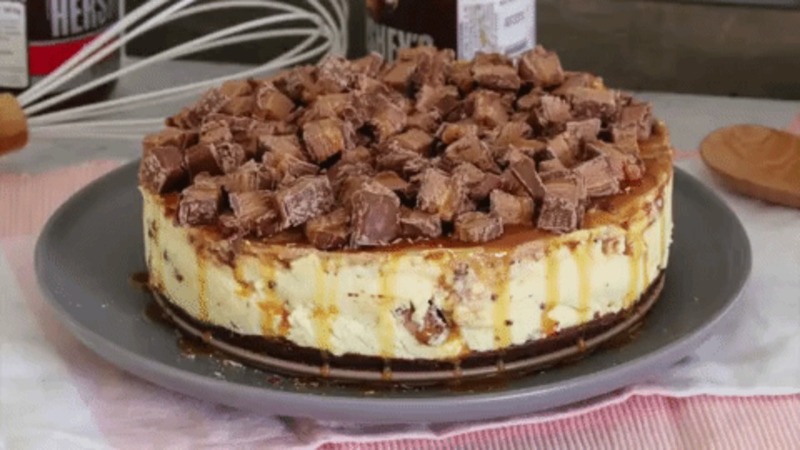 If you used this video to make The Ultimate No-Bake Mars Bar Cheesecake, please tell us how it went! View the original recipe notes here: Bake Play Smile’s – The Ultimate No-Bake Mars Bar Cheesecake. effort to put this article together. I once again find myself spending way too much time both reading and leaving comments.